E-commerce course – Content Management System (CMS) specialization at LIPSINDIA Mumbai is a classroom training program with Hands-on learning. This E-commerce course in Mumbai is specially designed to equip individuals with complete knowledge of e-commerce business right from understanding the basic of e-commerce to manage and market e-commerce business successfully. 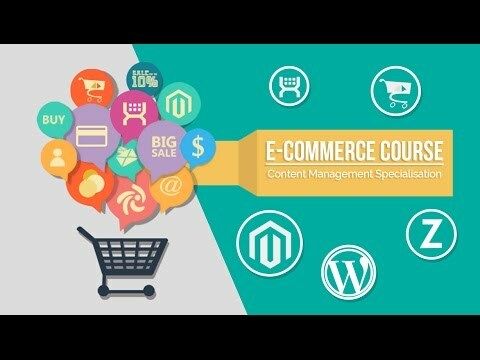 You will develop an understanding level to learn the language of e-commerce Industry right from the basics of the e-commerce to become an expert, simultaneously managing and marketing e-commerce business which may be built on popularly used CMS platform like Wordpress, WooCommerce, Magento, Shopify, Zepo. E-commerce Management Course is useful for individuals aspiring to become an online retailer or can be good preposition start their online store or take up a job as an e-commerce manager in an e-commerce portal and even help you become a successful online retailer. We also focus on how to optimize your website for SEO and if you want to do paid marketing how you can set up Shopping Ads, Affiliate Marketing and content creation. For more details on kindly refer detailed e-commerce course training curriculum! Ecommerce Terminology: What is SKU, Varients, Inventory, What is Domain and Hosting, How your website should look, Basics of HTML. Oversee the product content presented on websites, Maintain large online product catalogs, Updating product data / Specifications / Images, Image editing tools (Lunapic, pixlr). Manage individual and bulk listings, Looking after an entire listing process, cataloging, & pricing, Compare prices & products listing from competitive websites, Manage company's website, Monitoring promotional activities at Marketplaces. Installing Magento, Magento Design Concepts And Terminology, Extensions, Packages And Themes In Magento, Applying & Customizing Themes in Magento, Adding Products In Magento, Shipping Methods In Magento, Importing Magento Products. Magento Products Quantity, Magento Product Prices, Magento Orders, Managing Customers, Magento Newsletters, Google Analytics For Magento, Seo For Magento. Understanding Product Types in Magneto: Simple, Configurable, Virtual, Grouped, Bundled, Downloadable. Product Attributes: Creating New Attributes, Using Attributes For Products. Discount Coupon Creation: Setting Up Discount Coupon, Coupon Rules, Coupon Exclusion. Overview of Zepos CMS, Zepo Themes, Setting up Online store, Configuring Payment Gateways, Establishing Shipping Options. How to use built-in shipping methods, Working with Product Data: Adding, Managing & Review, Store Configuration, Receiving and Managing Orders, Creating Reports and Coupons, SEO For Zepo. Merchant centre creation, Data feed creation, Merchant center adwords linking. Assistance even after completion of the course. Ecommerce Course Mumbai - CMS Training FAQs. Why LIPSINDIA for Ecommerce course Training in Mumbai? At LIPSINDIA we mainly focus on real learning so way you will learn is what you will implement as well. For the e-commerce course, you will get space to implement and create your own e-commerce platforms on WordPress, Magento, Zepo etc. Will I be Able to Setup and Manage my own Ecommerce Store? Yes! you will learn how to create and mange all the CMS platform mentioned in the curriculum. Whats the Scope after doing ecommerce course? Does this includes ecommerce website designing?